When I last posted about Shirts on Tap last year, I highlighted that I had been to almost 380 unique breweries. Since then, we have continued doing posts for our Kegs and Legs feature that showcase some of the country’s best beers, and I am personally up to 467 breweries! 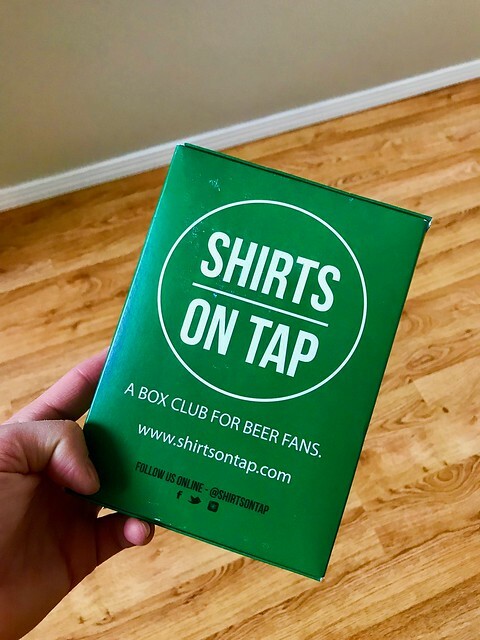 It only makes sense to promote one of my favorite subscription boxes out there – the Shirts on Tap box that ships a brewery related shirt out to your, along with some goodies, each and every month. It’s just simple and definitely something that will get worn and appreciated. If you see a design from a brewery you’ve been to in another city (or just love the design), don’t have an allegiance to a specific geographic location, or already have a bunch of apparel from Portland breweries, it’s easy enough to utilize their Rotation Program, to allow you to select which shirt you want each month. You can also make a preference as to where you prefer the big print logo to be placed – on the front or the back. 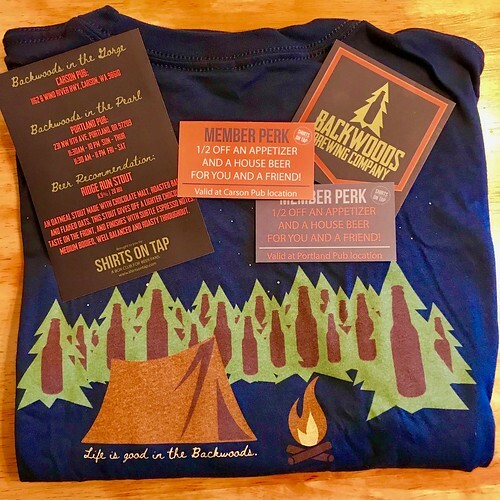 I got my first box of 2019 this past, and in addition to the shirt from Backwoods Brewing (based out of Carson, WA with a new spot in the Pearl) I also received a sticker and coupons for 1/2 off appetizer and a pint at both locations. As I have mentioned before, the fit and comfort of these shirts are definitely nice – they aren’t one of those cheaply made images plastered on a cheap tee. I opted for the soft cotton and am really pleased with the quality. Additionally, the logos are always pretty cool and I LOVE the Backwoods one – complete with a tent and beer bottle pine trees! I am pretty much obsessed with Shirts on Tap and it may be the best subscription box I’ve ever tried. And with our code, there is no reason not to try it out! Remember to use code RUNOREGON to get your first box for only $5!